Kenwood were called out to assess dampness within a lovely semi-detached home in Croydon. We found rising damp to be affecting many walls within the ground floor, due to a defect in the original damp proof course. 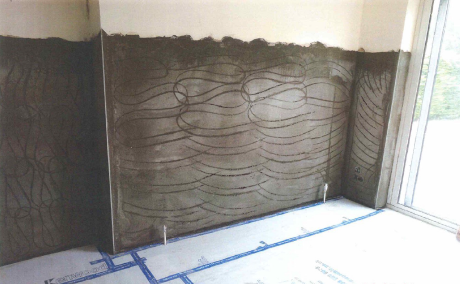 Kenwoods highly skilled operatives have installed a new chemical damp proof course. In addition to the damp course many of the walls required tanking. Tanking is a waterproof slurry, which is applied to the brickwork and acts as a barrier against moisture. We use this system when the external ground level is higher than the internal floor level. With the walls rendered using additional waterproofers and the final skim finish applied; the walls are left dry. Once dry the walls can be redecorated and the home dry once again.